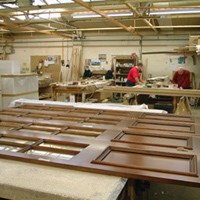 Specialist made to measure contracting services from our own factory base. Fast completion of site works. Minimum disruption to clients’ premises. 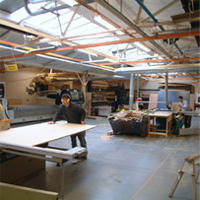 Ability to work either as a Main Contractor or as a Sub-Contractor. Complete co-ordination and close relationship of sub-contractors labour and materials. 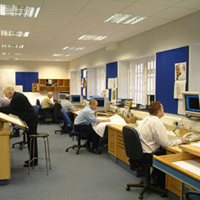 Drawing office, CAD setting out department.CNC machining. High quality of craft skills. Training to national vocational standards. Special technical drawing and design services. Close attention of Safety, Health & Welfare. Modern and traditional materials matched to appropriate skills. Employer and public Liability Insurance cover in place. Good labour relations through employment procedures and observance of industrial agreement. Careful attention to good contract procedures. Technical innovation, management efficiency, professional services. New materials, new finishes, match with innovation in design. Timber Research & Development Association.